In case you were wondering if I was being paranoid in my last post about managing drafts, and in my previous posts about backups, I wasn’t. 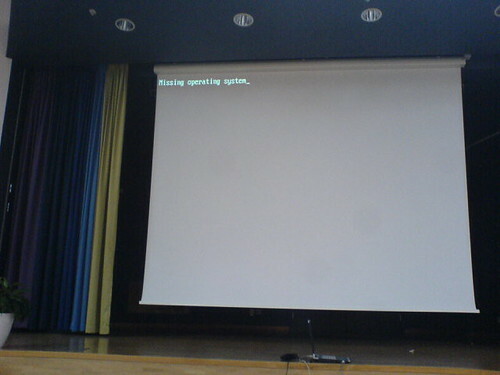 A couple of days after I turned my document over to the committee (I defend tomorrow, so think good thoughts), I came home to find a black computer screen with nothing but the words “Missing Operating System” showing. Seriously. After some troubleshooting, it turned out that the raid controller built into my motherboard had committed suicide, making none of my 3 internal drives visible. Now, a month and a half before graduation (knowing there would be at least one more round of revisions), this should have caused a panic. It didn’t. Why? So, even if the hard drive had been dead, there were at least 2 copies of everything and three of my dissertation. I turned off the monitor and walked away until after I defend. I plugged the external drive into a netbook I use when I travel and was back up and running in a matter of moments. Not so paranoid after all….